A play-by-play history of how journalist and blogger Sellers developed his taste in music. From his father’s Bob Dylan obsession, which drove him to despise the artist, to his own preoccupation with now-defunct indie group Guided By Voices (GBV), Sellers dispenses rock anecdotes with a light touch. The Michigan-born author, who started out listening to Journey, chronicles his musical milestones: first album bought, first concert attended, first rock pilgrimage. High-school days favoring U2 and New Order gave way to the collegiate discovery of Joy Division and the Smiths, and then it was on to Pavement and his New York writing life. It all led to Sellers’s interest in GBV and the band’s astoundingly prolific songwriter and frontman, Robert Pollard. After consuming every GBV song he could get his hands on, Sellers and a buddy got a chance to live out their rock-fan fantasy of hanging out, drinking heavily and even singing onstage with GBV. Just when the author thought he’d made a decent impression on Pollard, a misunderstanding threatened their tenuous connection and chucked his rock dream into the gutter. Sellers’s self-deprecating, music-obsessed memoir echoes the style of Nick Hornby’s High Fidelity, but he manages to maintain a distinctive voice: likable, smart and steeped in music trivia, without being condescending. 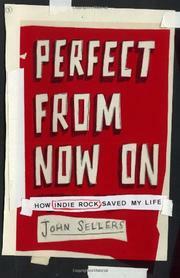 A fun read for indie-rock fans.